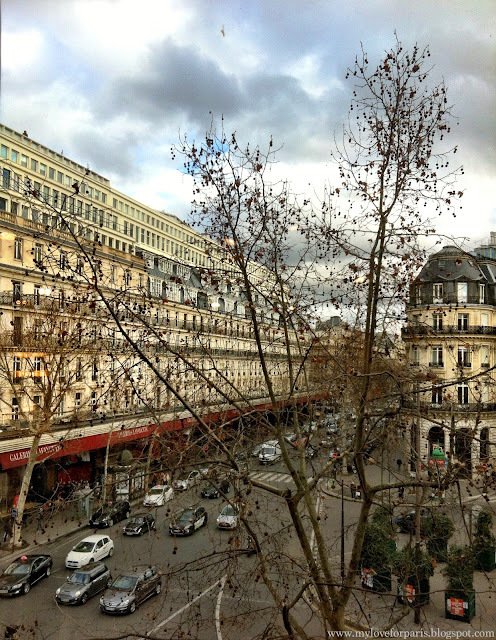 One of the beautiful things about Paris is that for me, it is not a city where you have to have a big budget to enjoy and appreciate. Sure it will help of course but it's not the be all and end all. 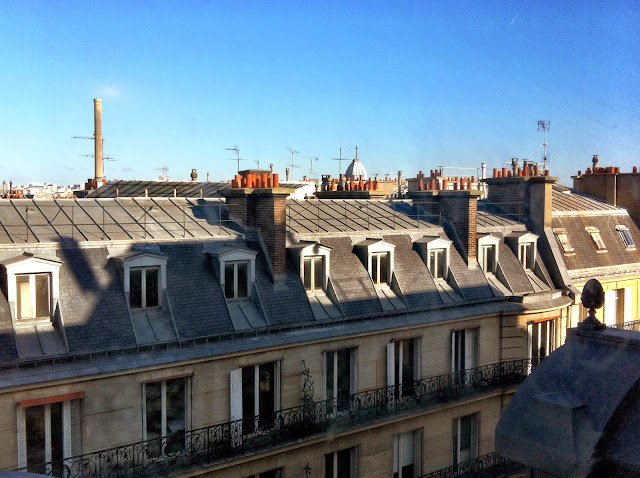 In fact, I would even say that the less financially comfortable I have been during my time here, the more awe-struck and appreciative I have felt about Paris. When you remove money from the equation, often what you discover is how beautiful and overlooked the simple things in life are. Just because something is free doesn't mean that it is worth less, if anything I find when you have less, that very thing is worth even more. 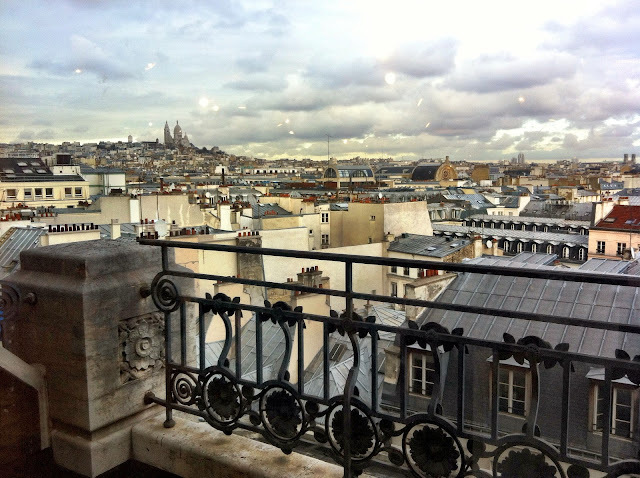 One day, I was looking through my camera roll of all the best views of Paris I had collected. 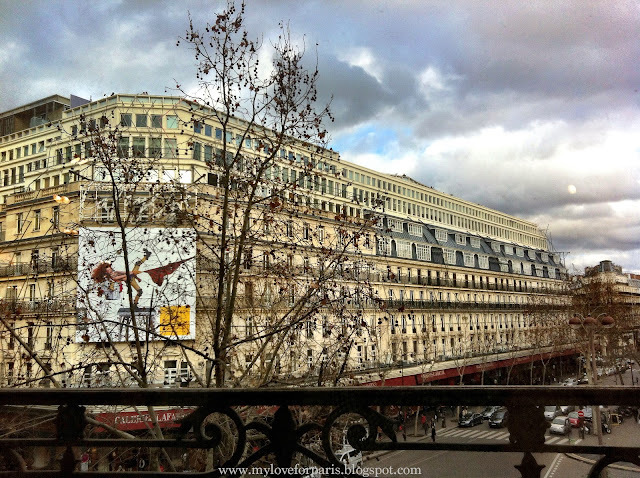 Every gorgeous view from the Arc de Triomphe, the Eiffel Tower, Sacre Coeur, the Pompidou centre etc brought me back to the exact moment where I saw that spectacular view for the first time. I clearly recall all my emotions, my surroundings and how that "wow I'm so lucky to have this at my fingertips" moment came over me. Yet, at the same time, for each moment I also had a vague memory of the crowds surrounding me, the lines I had to wait in, the ticket I had to pay to get there, the noise from people chatting. Don't get me wrong, I love people, I love sharing too! I love having company so much that I have only travelled on my own a couple of times (in transit between meeting other friends in other countries!). Maybe it's with age that I'm beginning to place more importance on things like space, peace, tranquility, privacy.. or maybe big city claustrophobia is finally starting to catch up to me. 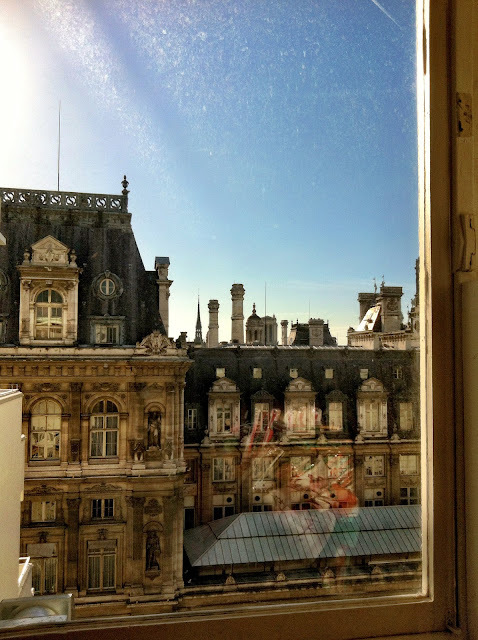 What I realised was that, the most personal memories I had of these views of Paris I'd seen were the ones I had to myself. The ones I had stumbled across by chance or found when things didn't go to plan. 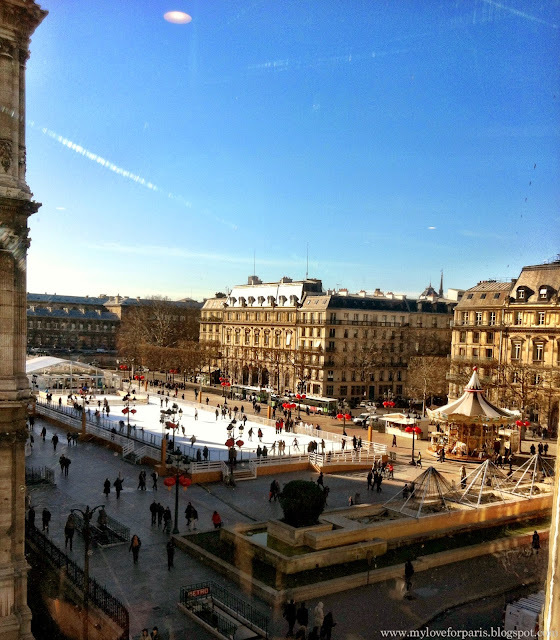 The ones where it was just Paris and I, just the two of us and nobody else (well on second thoughts maybe my iPhone). My idea was to go and search for these spectacular views again, but in a different context. 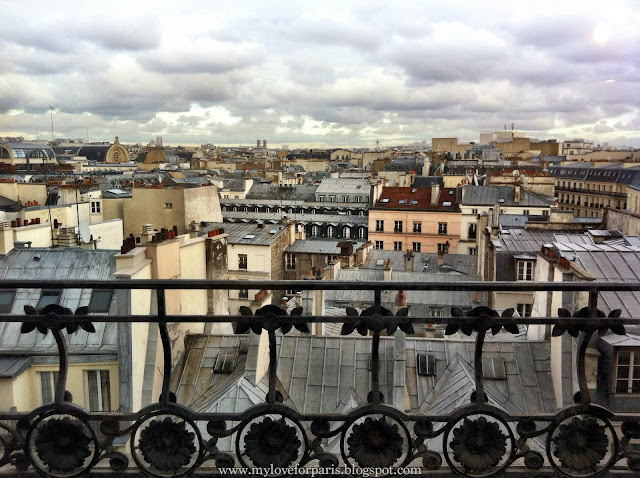 I wanted to find these (free) views of Paris from as high as I could get up to, without it being an exploited tourist attraction I had to share with a hundred other people. I wanted to recreate these chance viewings for myself and I wanted them to be free so that I could share it for everyone to enjoy. I didn't want anything exclusive, expensive or highly sought after. I wanted the unexpected, the hidden and the underestimated. 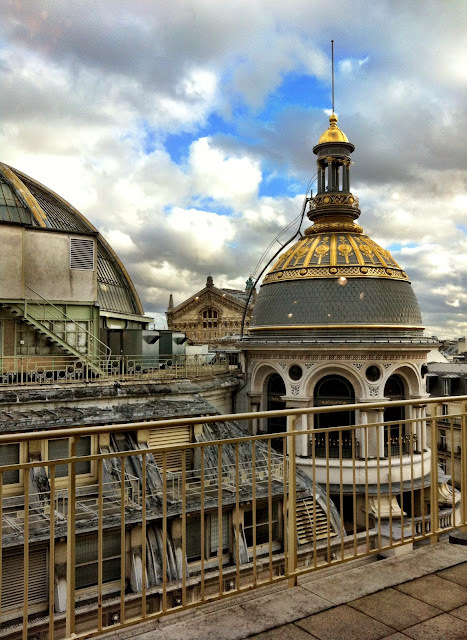 My plan was to seek out all the highest publicly accessible buildings in Paris and go to the very top level to see what I could find. First cab off the rank was BHV at Hôtel de Ville. 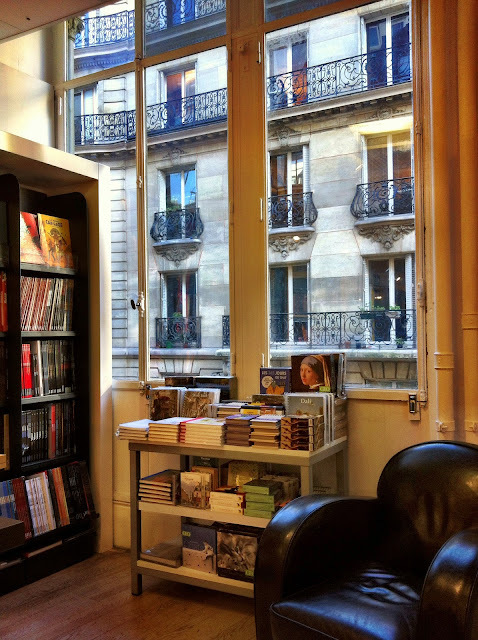 I found this cosy little corner on the stationery and book level on the 2nd floor. Up another level on the 3rd floor I quickly stumbled across exactly what I was looking for. That didn't take long! 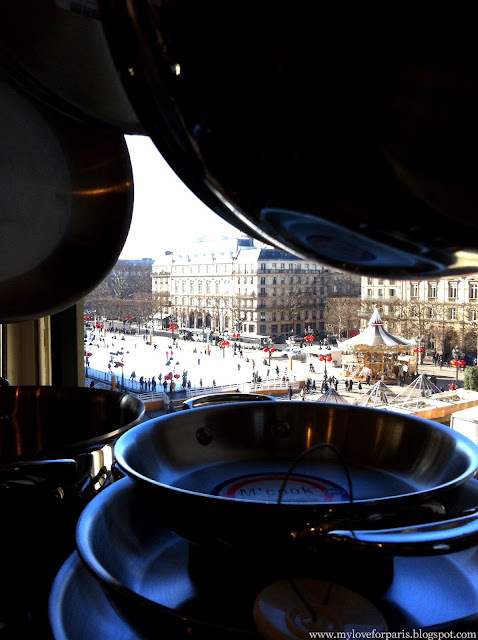 This unique view of the Hôtel de Ville ice skating rink was found in between all the pots and pans. Needless to say, the sales assistant quickly realised they weren't needed as soon as I whipped out my iPhone. Surprisingly enough, views from the 6th floor weren't as impressive as the view from the 3rd floor which overlooked the ice skating rink. But I'll include them anyway for the sake of it. 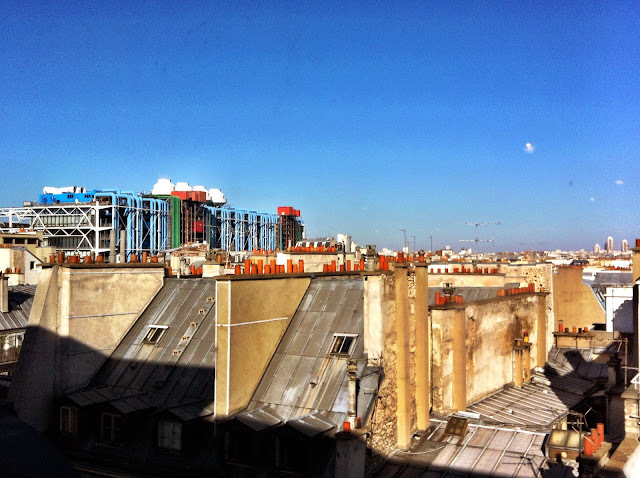 I also found a view of the unmissable Pompidou Centre. Not a bad place to work hey? I stayed there forever gazing out the window. 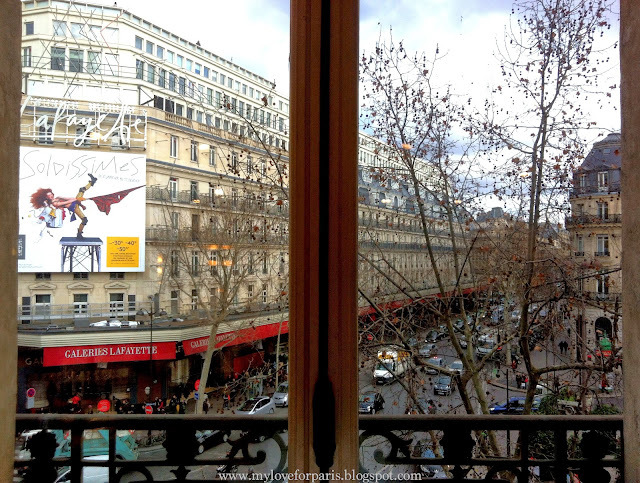 You could also see the Printemps building from Lafayette Maison. 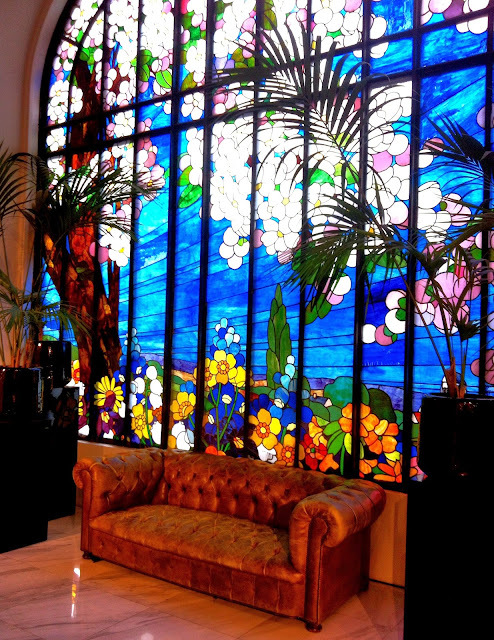 Over at Printemps, I found this little spot to rest at the very top of the Printemps Mode building. There were other views but they were at the Hairdressers and at the Brasserie, which I will cover in the follow up post! 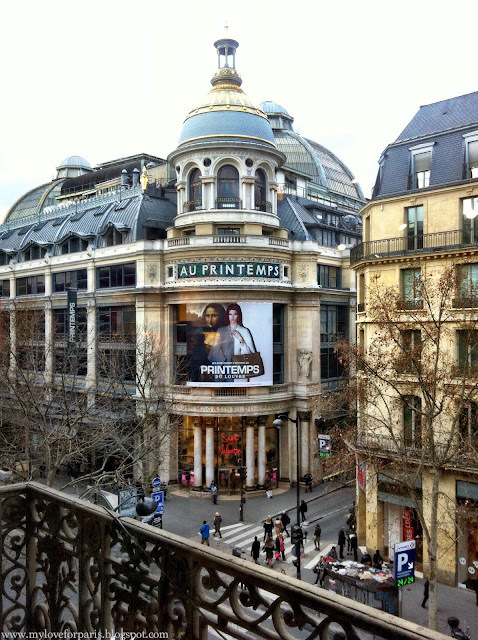 Next stop was Printemps Beauty and Home - and imagine the look on my face when I found this jackpot...!! 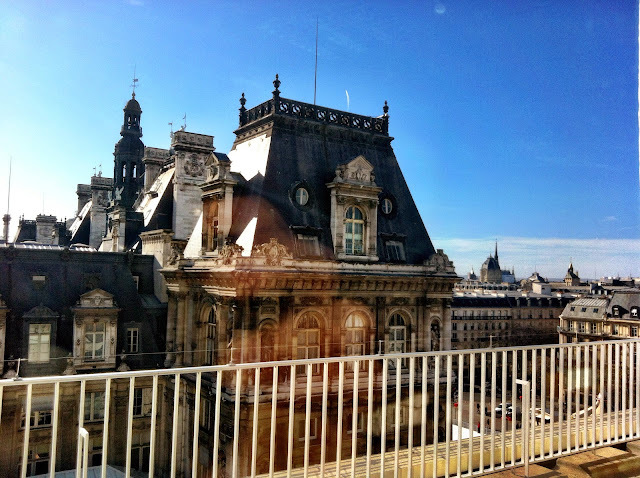 I was so excited that I need to write a blog post purely on this place, my favourite roof top in Paris.